GitHub - polarityio/recorded-future: Polarity integration for searching Recorded Futures for associated threat information. Polarity integration for searching Recorded Futures for associated threat information. Want to be notified of new releases in polarityio/recorded-future? Polarity integration for searching Recorded Future for associated threat information. API Key associated with Recorded Future account. 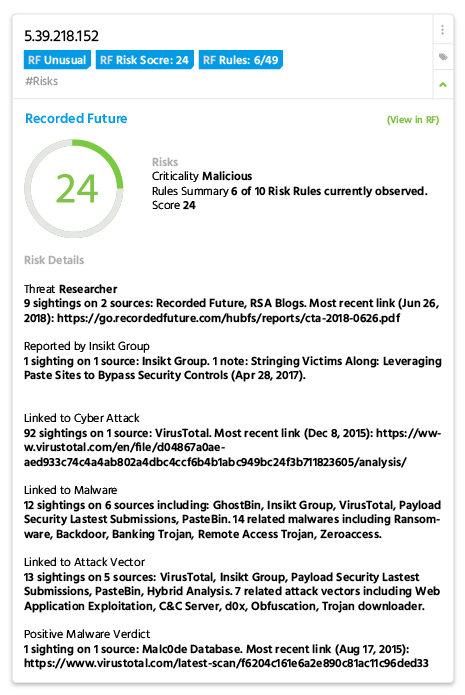 Minimum risk score a threat needs to have in order to be displayed.